Query Optimizer and Performance formerly "The SQL Server Cost-Based Optimizer"
Parallel Execution in SQL Server 2016 (2017-01). Hyper-Threading performance on TPC-H queries (2013-03). 2018-09-24 dm_os_memory_node_access_stats , requires trace flag 842? sp_updatestats2 system procedure identifies such indexes and applies a full scan update. sp_vas (2018-07) for tracking virtual_address_space_reserved. I made this for a talk a few years ago. I liked it so much that it is now in all my slides. SQL Blog unfortunately seems to be dying, please send comment to emails at top. 2015 May 30 SQL Saturday New York Comprehensive Indexing 2015 OK, same slidedeck for both. Redmond, 31 May 2014 Automating Execution Plan Analysis for Comprehensive (Whole DB?) Performance. I was at SQL Saturday Boston on 29 Mar, but not presenting. Note: Modern Performance-SVCC, the SQL Performance 2013-Riyadh and the 2012 Automating Performance-Copenhagen slidedecks are all on the same topic. I presented at Munich on 10 Jan 2013. Will put up slides soon? 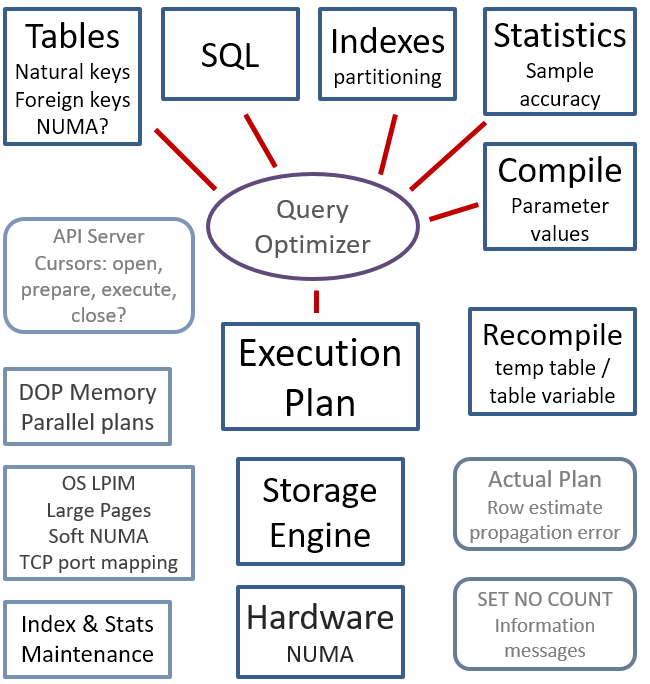 SQL Server Query Optimizer Cost Formulas 2010-Dec? I presented a session at SQLBits on 1 Oct 2010 in York, England. (if this where New York was named after?) Anyways, I tried to squeeze 4-5 hours of material into 1 hour. So I will try to write up everything and collect it here. I posted this HealthCare.Gov Fiasco back in 2013. I noticed this link at GSU HealthCare.Gov Fiasco for PMBA 8125 course, 2014, taught by Duane Truex?. In case anyone is interested, the old frameset page is here wframeset.html. I never figured out how to code it.